Many of Facebook’s collected 2.32 billion monthly active users were frustrated today by outages across its apps. In a move that might have tasted a little bitter, the social network tweeted about the disruption to ensure its audience that they were working on it. When did the outages begin? Outages reportedly began around noon Eastern time on Wednesday afternoon. Though rumors suggested that the outages were the result of a distributed denial-of-service attack — in which a bad actor floods a site with requests in an attempt to overload it — Facebook claimed, again on Twitter, that “the issue is not related to a DDoS attack.” As of publication, the hashtags #InstagramDown and #FacebookDown have been tagged to more than 150,000 posts. What do the outages entail? 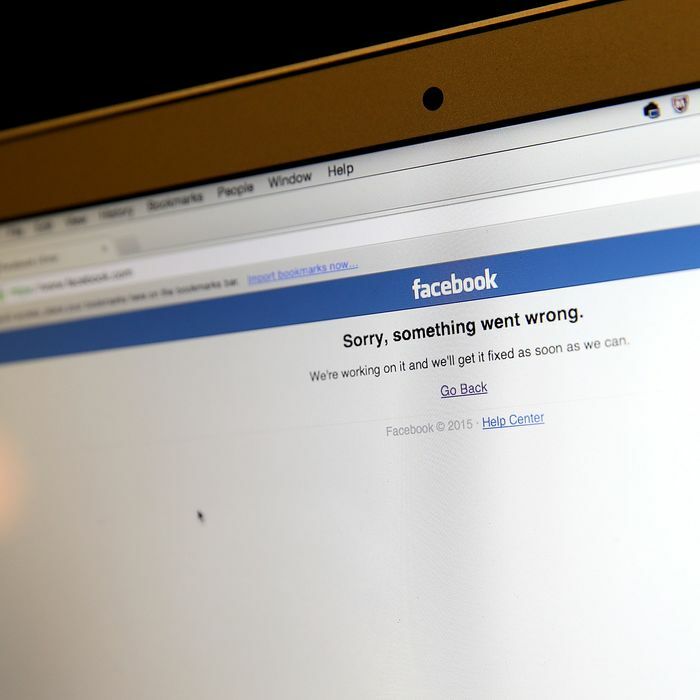 For some Facebook users, the main page appeared to load properly, though people reported that they weren’t able to post. On desktops, Facebook Messenger would not load. WhatsApp was reported to have similar problems, as well as trouble sending photos. Some users were frustrated in attempts to sign into apps like Spotify and Tinder that require a Facebook login. On Instagram, users had trouble refreshing feeds, accessing the explore page, and posting new material. The VR tool Oculus also would not work properly. The site DownDetector shows that outages are occurring in New York, Toronto, Detroit, Seattle, San Francisco, Southern California, Bogata, Quito, London, Shenzhen, Manila, Singapore, Sydney, Perth, and Tokyo. Why did the outages occur? As of publication, Facebook has not made the cause of the service interruption public.